If you’ve ever walked along Prospect Park West, the thoroughfare that divides Park Slope from Brooklyn’s beloved Prospect Park, you have likely marveled at the architecture. 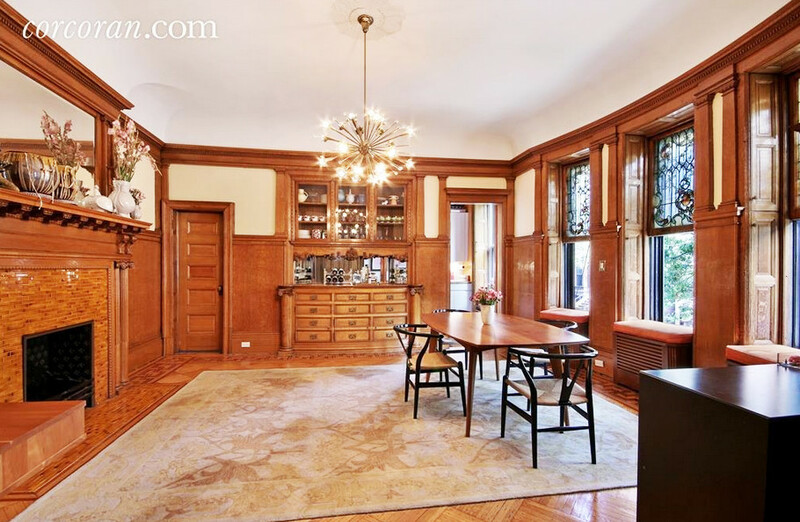 There are a number of gorgeous mansions and townhouses, all boasting Prospect Park as their front yard. 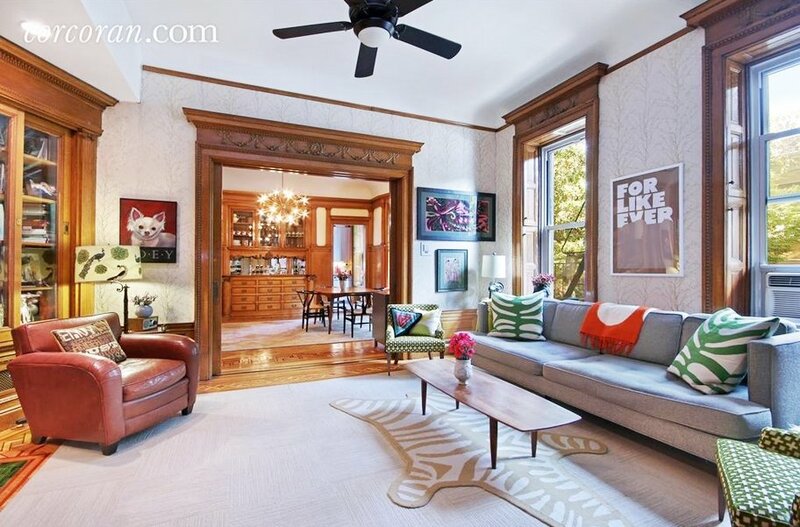 This duplex co-op unit comes from one such mansion, at 118 Prospect Park West. 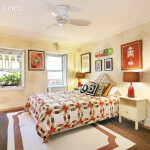 It’s a two-bedroom, one-bathroom unit with tons of wood detailing, a private garden, even a parking spot. It is now on the market for $1,899,999. There are two entrances to the 1,600-square-foot duplex, making it easy to access both floors. On the top floor, you’ve got the living room, dining room and kitchen. 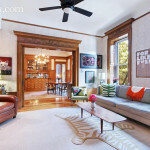 The living room is outfitted with high ceilings, carved wooden mantlepieces, a decorate fireplace, the original pocket doors, and mahogany floors. 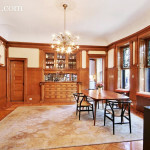 Prewar detailing at its finest! 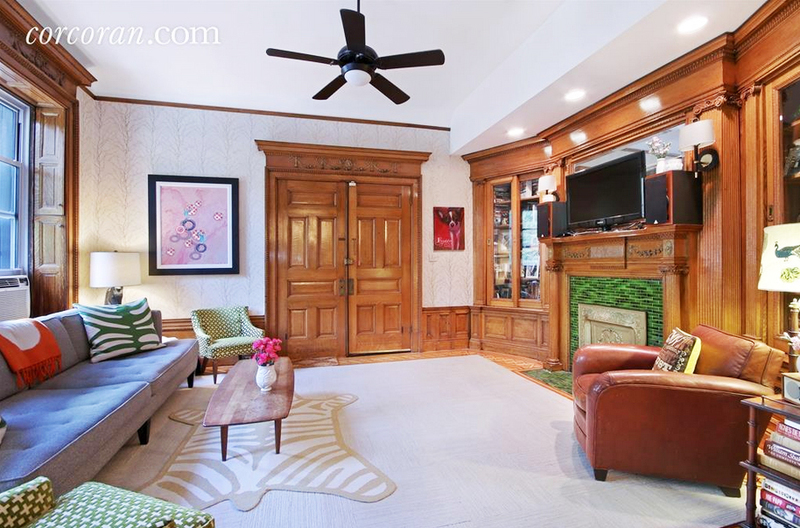 The living room is even more carved woodwork, with another decorative fireplace, the original wood shutters and a gorgeous built-in cabinet space (if you look closely, you can also see some stained glass details in the three windows that look out onto 7th Avenue). We love that the room is accented by a modern light fixture. 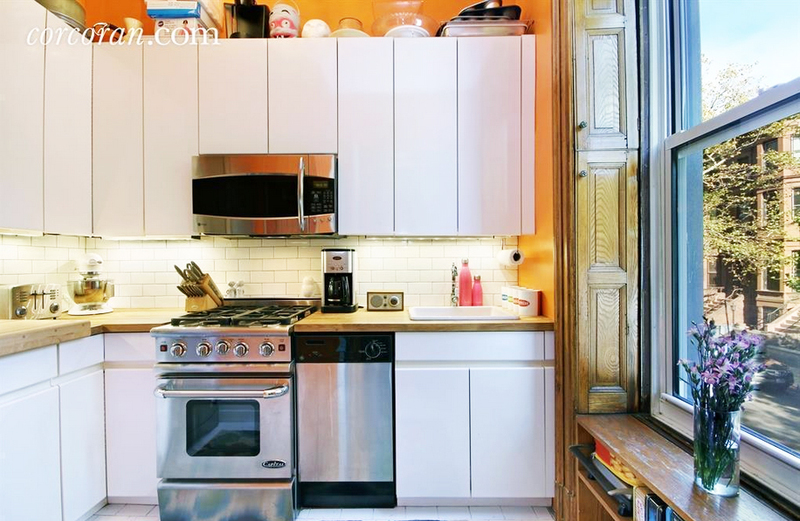 The kitchen is crammed in the back of the apartment, and will likely need some upgrades by a new owner. Walking downstairs to the lower level of the duplex—the garden floor of the building—are two bedrooms, a marble bathroom, a home office, and a mud room. 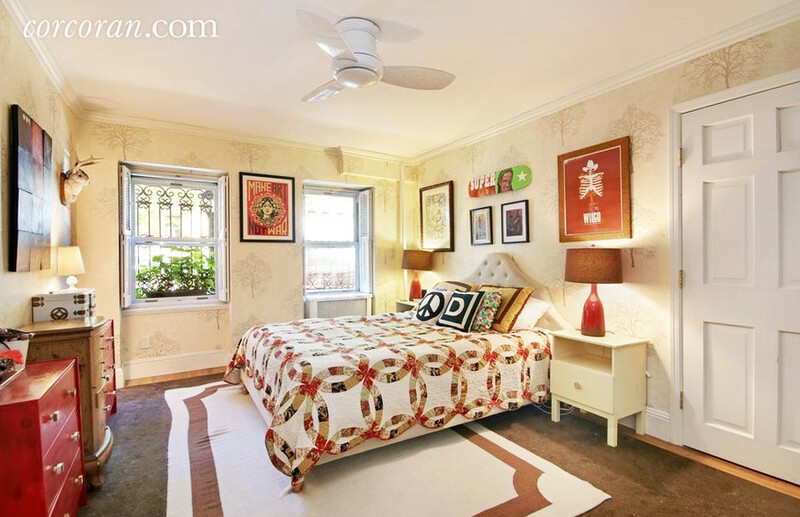 Both bedrooms, according to the listing, are big. 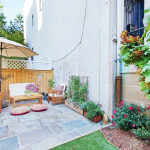 Outside the mudroom, there’s the private garden and your very own parking space (a true perk in NYC!). 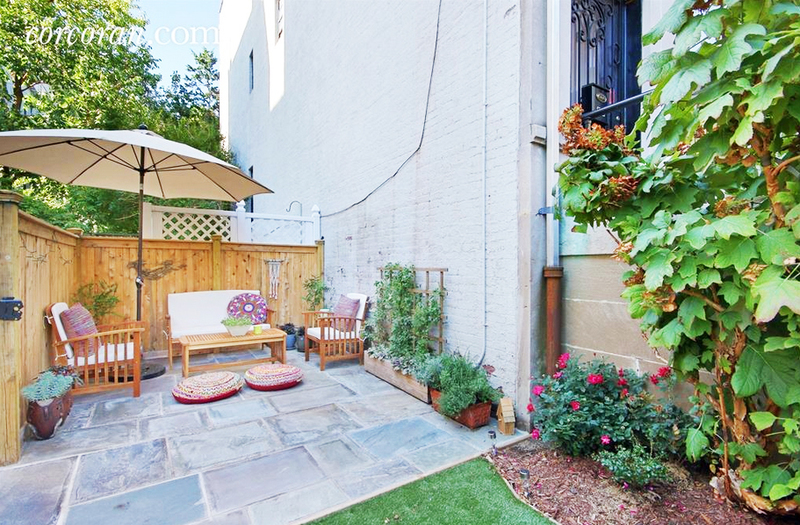 The garden is quite cute, but what does it matter when you have Brooklyn’s best park right outside your front door?